Likud MK David Bitan unfazed by former IDF Chief of Staff, says he splits the left and not the right. Former coalition chairman MK David Bitan (Likud) expressed confidence on Saturday that former Chief of Staff Benny Gantz cannot harm the right, adding that his entry into politics only splits the left. "As far as I’m concerned, Gantz can bring in another 20 chiefs of staff, no one can challenge Prime Minister Binyamin Netanyahu in the security sphere," Bitan said at an event in Tel Aviv. 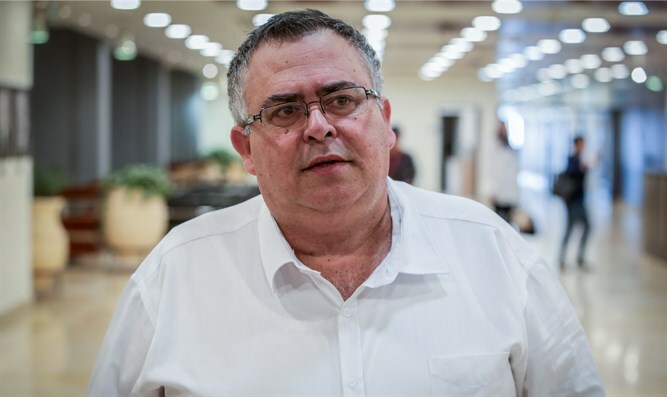 Bitan also discussed the issue of political alliances between the parties ahead of the elections, and said that he, along with other senior Likud members, would oppose any alliances with right-wing parties. "All the right-wing parties will pass the threshold, but I couldn’t care less if Kahlon doesn’t,” he said.